The mission of Freedom Park School to provide all students with a high quality education that enables them to be contributing members of a global society. We seek to create an environment that achieves equity for all students and ensures that each student is a successful learner. To ensure quality teaching and learning in every classroom, every day, for every teacher and every student. Every student, every day, that is the FPS way! One school, One direction, Up! When: March 19th from 9 a.m. to 2 p.m.
Want to learn more about Freedom Park School? Click the picture for a video overview. 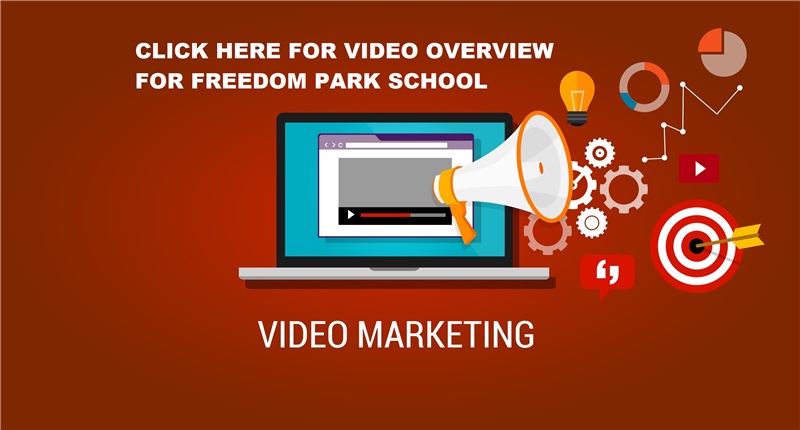 Freedom Park School is a one to one technology school! All students 3rd-8th grade are provided their own lap top. This laptop is at no charge to the families, comes with four (4) additional copies of Microsoft 365, and can be taken from home to school. Click the "Students" tab to access the handbook as well as additional technology information for students. Looking for the 2018-2019 school supply list? Click here. What if I don't live on post and I still want my student to attend Freedom Park? If you are active duty, but you don't live on post you must contact the central office to request a zone exemption @ (706) 826-1000. If accepted, the students will be on a zone exemption waiver. All students on waivers must reapply each school year. Please take this short survey to let us know how we can better serve our community. Click here to complete the survey. Freedom Park School has a heart for our beloved community. We are so blessed to be a part of to great families. The Richmond County and Fort Gordon Community. While we are not a DOD school (we are governed by Richmond Co. Board of Education), we are priviledged to be housed on Fort Gordan and a member of the Fort Gordon community. This section is dedicated to our communties. Please click here to read the current policy. We know that involvement in positive activities beyond the school day is important. Being involved in activies beyond the school day helps to develop students social, emotionally, and intellectually. Please view the click here to find information regarding youth athletics in Richmond County. Please join EFMP for their monthly Parent Information Exchange/ Support Group Meeting on 21 September 2017 from 1830 - 2030 at the Family Outreach Center behind the Woodworth Library. EFMP is a Department of Defense Program wich assists eligible family members of active duty Soliders, DA Civilians, Army National Guard and US Army Reserve. Click here for upcoming events.